Although I am on in years there was a time in my life when I was an active and competitive athlete, in particular in the sport of soccer. For most of my soccer experience in both High School and in College, I played as a striker or an attacking midfielder. Now, I was competitive and at times I gave an elbow or came in late on a tackle – unfortunately, that is all part of the game. There were, however, plenty of times when I was called for a foul when I was completely innocent but the referee judged my intent as not so innocent and awarded me a yellow card. One time I remember in particular what while playing in a tournament in Tenessee. Our High School team was doing well, keeping pace with our competition, but on this day a great fog descended and by the time the kickoff whistle blew you could not see the other goal from the center spot on the pitch. We were winning the game 2-1 and a ball was kicked ahead in the air toward our opponent’s goal (which my midfield teammate could not see). By the time I arrived at the ball so had the opposing team’s goalkeeper. It was a 50-50 challenge which I won by kicking the ball toward the goal, but because of the challenge, I landed awkwardly. The referee came out of the fog and saw both me and the goalkeeper sprawled out in the 18-yard box, blew his whistle and then with an angry look on his face, raised a Yellow Card in my direction. Now, I was still a little groggy coming out of the challenge, and when I saw the Yellow Card I must admit I was rather miffed. There was no foul. A clumsy challenge by both players competing for a ball – Yes, but not a foul. Should the referee have blown the whistle? Maybe. Probably. I have spent my time refereeing and I think that I may have blown my whistle to give the benefit of the doubt to the goalkeeper – which is normal procedure. Still, the angry expression of the referee communicated to me his belief of my deliberate intent to cause a foul, but I know in my heart that it wasn’t the case. So, I know what it is like to be accused of something in the context of a sport where you know you didn’t do what you are accused of and your pride is hurt because it challenges your integrity. But in sports, referees are there to make judgments based on their understanding of the facts before them. That is their job. That is what they are there to do. They rule and they typically get it right, but not always. So, it is often a challenge to get on with the game and forget about it. Unfortunately, this past Saturday, September 9, 2018, at the US Open Tennis Championships, Serena Williams couldn’t just get on with it. She was adjudged by the court referee to have been coached by her coach (which he subsequently admitted to, but she denied) which the referee rightly applied the rule of law by deducting a point. Then she broke her tennis racquet which is another violation resulting in the loss of another point. Then she challenged the referee personally and called him a thief while stating over and over again that she doesn’t cheat – which clearly she had since her coach admitted to it. That resulted in her losing a game. Finally, she attacked the referee calling her treatment an attack on women in sports. Others, of course, were quick to also turn Serena’s treatment into a racial thing, which it clearly was not. So, Serena Williams is a victim of a white referee who is a racist and hates women. Or, is she just another privileged athlete who was caught out committing a violation from a referee who is known to be tough on keeping the rule of law? Is she another celebrity who is not willing to face up to reality and to take responsibility for her actions. There was coaching. She is guilty. She is responsible. After the match, when Serena’s coach admitted to the coaching, he made light of it saying, “Everybody does it – you all know it.” Well, it may be something that everyone does, like driving 10-15 mph over the speed limit or taking extra sugar packets from McDonalds, but the fact that everyone does it doesn’t mean that it is not right to hold someone accountable for it. The rules of tennis are there for a reason. If those involved in the sport think that it is an unnecessary rule then that rule should be changed via proper procedure, not bullying tactics from players or coaches. Unfortunately, this kind of thinking is what also takes place in our society. Since everybody does it we should just look away and not hold people accountable for their actions, especially when the rule of law says otherwise. Now, certainly, there are all sorts of issues surrounding Serena’s meltdown. Some of those have to do with women’s sports. But her actions should not be championed. In my opinion, she brought shame upon the sport and disgraced herself. In the heat of the moment – and all passionate athletes have been there – She defended her actions, took the moral high ground, and demanded that the referee apologize for calling her integrity into question. The person who should be apologizing is Serena. She is a great athlete to be sure. She deserves respect for what she has done as a tennis player, but she needs to take responsibility for her own actions and apologize to the referee and all who watched her antics. What are sports coming to when the professional athlete feels the freedom to mistreat the referee? Maybe it is an issue of privilege or the abuse of power by those who earn far more money than the referee’s themselves. In particular, she should apologize to Naomi Osaka, her opponent on the day, who beat her soundly 6-4, 6-2, and who is the first Japanese player to ever win a grand slam title. Unfortunately, we are not hearing about Naomi Osaka, but only about Serena Williams. By the way. When the referee blew his whistle giving me a yellow card I eventually laughed and raided my arm from which my wrist dangled. In the collision with the goalkeeper and my subsequent fall, I had broken my wrist. After going to the hospital, setting the bone in place and being put on morphine, I returned to the camp where the soccer tournament was being played and I was given an “All-Tourney” team trophy – on which someone had added tape to form a cast. I am still proud of it to this day! It was a spur of the moment thing. I was checking in on Tim Challies’ blog http://www.challies.com where he has daily links for Amazon Kindle and occasionally Christian Audio. 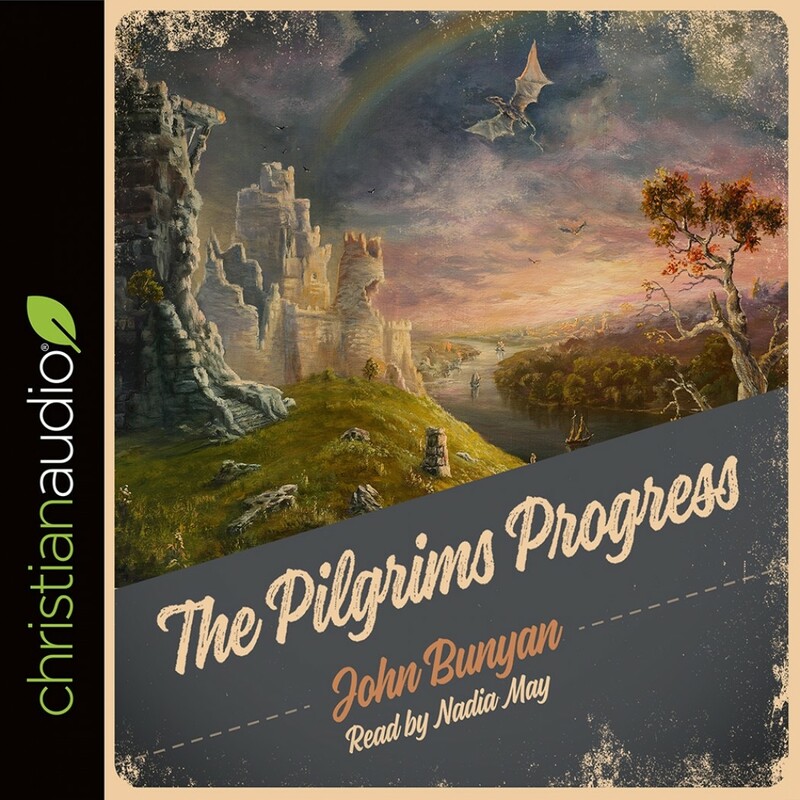 So, I clicked the Christian Audio link and found a reading of The Pilgrim’s Progress by John Bunyan read by Nadia May. Now, I’ve read The Pilgrim’s Progress a couple of times, years ago, but to listen to it read by Nadia May was a completely different experience. She captures the characters so well and bridges the old English in a contemporary way that makes it understandable and that comes alive. In my pastoral ministry, I have heard people look down on people from the past with an attitude of contemporary pride that sees itself as knowledgeable and highly sophisticated. What struck me as I listened to Bunyan’s tale was his genius. To be able to articulate Christian truths with such visual images all connected to Christian’s journey to the Celestial City is incredibly sophisticated. His breadth of knowledge of God’s Word and the weaving of it into his tale is a work of pure genius and has helped countless believers through the century to view their pursuit of Christlikeness in a new and fresh light. I want to encourage you to complement your reading of God’s Word with either the reading of or the listening to, John Bunyan’s classic work, The Pilgrim’s Progress. I listen to it as I am driving around, or when I am doing some chores while I am alone at home. It has allowed me to see my soul afresh and has opened up insight into my general struggles in my progressive sanctification. Enjoy. I don’t think that you will regret it!! It has been brought to my attention that it has been quite a while since I have posted something on this blog. It likely has something to do with the fact that I have been preoccupied with the completion of my dissertation. So, since that chapter of my life is over and my Ph.D. has been secured, I want to begin this new chapter with some deeper insights necessary for the understanding of Apocalyptic Genre. This is especially important as I return to the pulpit this week and begin preaching through the Olivet Discourse from Mark 13. So, in preparation for that task I have been refreshed by the following educational video. 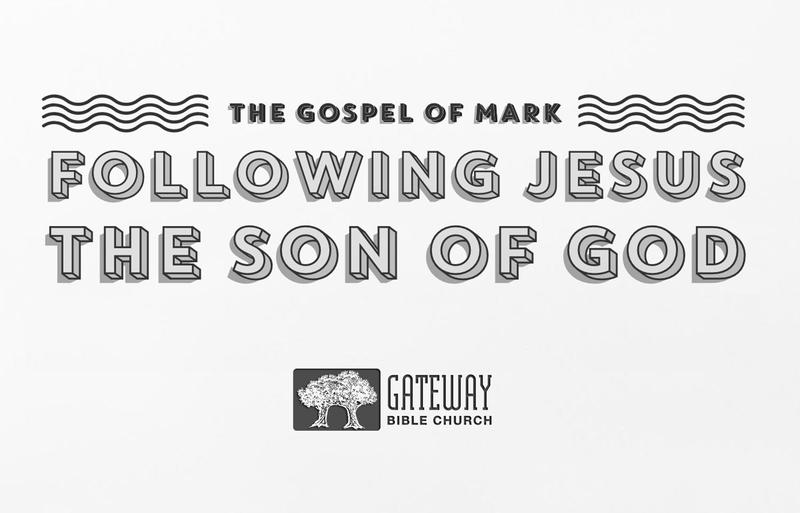 If you are part of Gateway Bible Church I am asking that you pay attention all the way to the end so that you are prepared for the ministry of the Word this coming Sunday. This is so true! God’s sovereign election is a humbling, strengthening and anchoring truth for the child of God, rather than a bullet point of demarcation of orthodox fidelity. For some, coming to the place of understanding God’s sovereignty in election has taken years of study in the Word. For other, it is a burr in the shoe of a traditional theological framework. However, for many it is the soul’s comfort, the clarifying truth and the satisfying hope. I am follicly challenged. Not on my head, but on my face. I have tried to grow a beard a few times, but I end up looking like a scraggly civil war soldier whose face is a patchwork of mangy clumps. Although I aspire to be like Charles Spurgeon I am quite settled that it will never happen – at least in the facial hair department, but I might be catching him in the belly department. Calvin on the other hand, well, a little patience and my faith might even be justified. But, for now, I will just have to consider myself a Puritan with an ESV dialect. Thank God For Good Listeners! With that in mind, I am truly thankful for the good listeners that I call God’s flock under my care. Like so many, I have been troubled by all the rhetoric that is taking place in all our media regarding the death of Michael Brown in Ferguson, Missouri, and the death of Eric Garner in Staten Island, New York. In the midst of the rhetoric there seem to be extremes coming out on various sides: racial extremes that pit white against black; rioting extremes where peaceful protestors have been either hijacked by self-interested groups who are not following the example of Dr. Marin Luther King, Jr., but clearly their own ends, looting and setting cars and businesses on fire; relational extremes where the new enemy is the Police force. Should people be held accountable for their actions? If “yes” then what responsibilities should the individual be accountable for regardless of color of skin? Is there a need to look at a disproportionate treatment of Black people in society? If the answer is “yes” then what should we do to support an honest movement that is Christ-centered that is working toward adjusting that reality? Sadly, to filter through the rhetoric is rather daunting and to be able to talk about the issues without allowing our flesh and emotions to rise up can be very difficult because we all have assumptions about each others motives. I want to introduce you to a man whom I love in the Lord, who has a big heart and a big vision to take the Gospel to the people of Bolivia. His name is Matias Mojica and he was born in the mountain region of Samaipata, adopted by Charles & Hannah Brooks, faithful missionaries under BEMA (Baptist Missionary Evangelistic Association). When Matias finished his education for ministry in the United States he returned to the Samaipata region and started three churches. Since then he and his family have moved to Santa Cruz, the main city in the south of Bolivia. Since that move many years ago God has raised up the Bible Baptist Church and a number of other churches under the care of Pastor Matias. Every year the fellowship of churches under his care gather for camp in the mountain town of Samaipata, a three-four hour journey up a winding and often washed out road heavy with buses, taxis, cars, motorcycles, horses, donkeys, chickens, oxen, dogs the occasional pig and vultures waiting for any kind of road-kill. God has blessed the camp ministry in Samaipata, but God was working on the heart of Matias about the establishing of a camp in or around the main city of Santa Cruz. A few years ago, God answered that prayer miraculously (a story of faith for another occasion) and the churches began to work on the property. T his new camp is located about 40 miles Northwest of Santa Cruz along the Piray River just south of the town of La Belgica. At present there are seven completed buildings: 2 cabins for the men, 2 Cabins for the women, 1 restroom/shower building for the men, 1 restroom/shower building for the women, a caretakers home. There is also a kitchen/dining hall/meeting room that is 70% done needing windows & doors, a finished kitchen and furnishings. Presently under construction are two more cabins for the ladies and the foundations for two more cabins for the men. The two ladies cabins are 80% finished, simply needing a roof, windows and furnishings each. Here is Matias updating our church (Gateway Bible Church) on the status of the building project at the camp. We praise God for Matias’ vision to have a place where God’s people can retreat for ministry equipping, rejuvenation and for ministry to one another as well as a center for ministry to those who do not know Christ as Lord and Savior. As Matias raises up this facility he is already thinking about a new church meeting on this property that is reaching out to this more remote community.